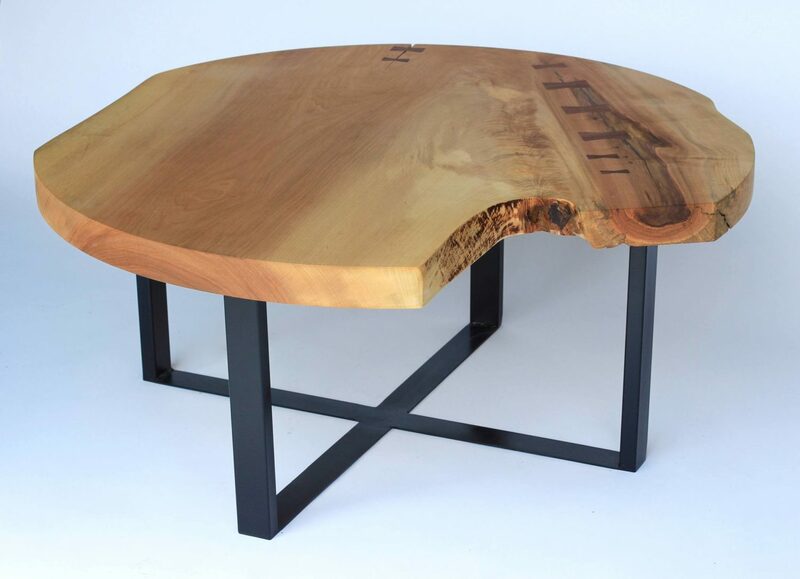 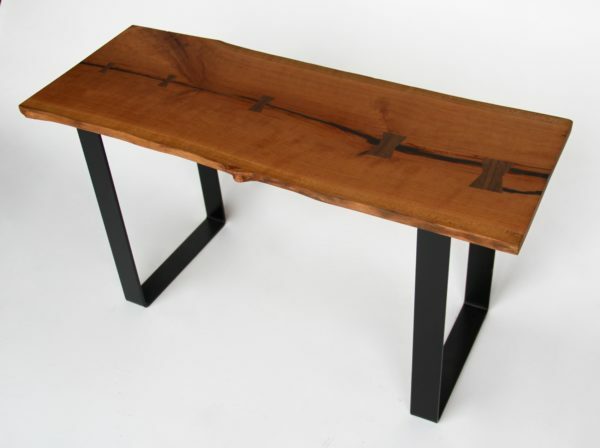 This dazzling Live Edge Coffee Table was made by hand in our workshop near Detroit, Michigan. 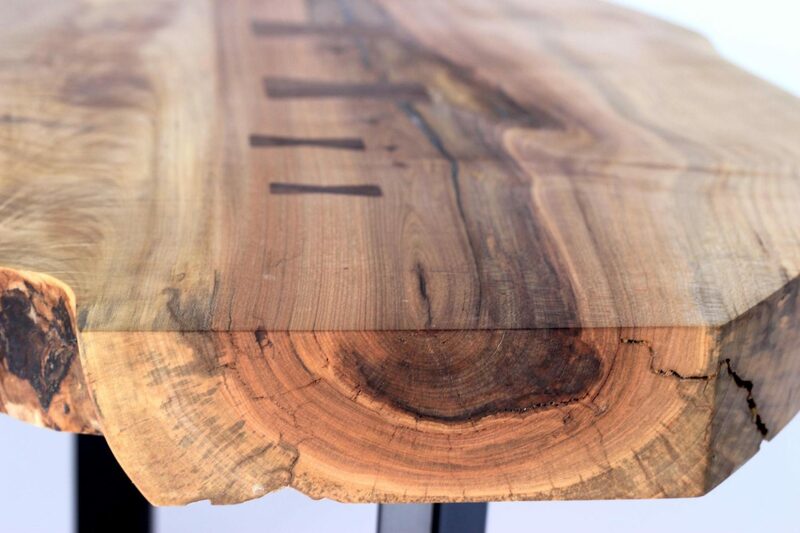 The tabletop is crafted from a single giant slab of Michigan Hard Maple, locally sourced from our home state. 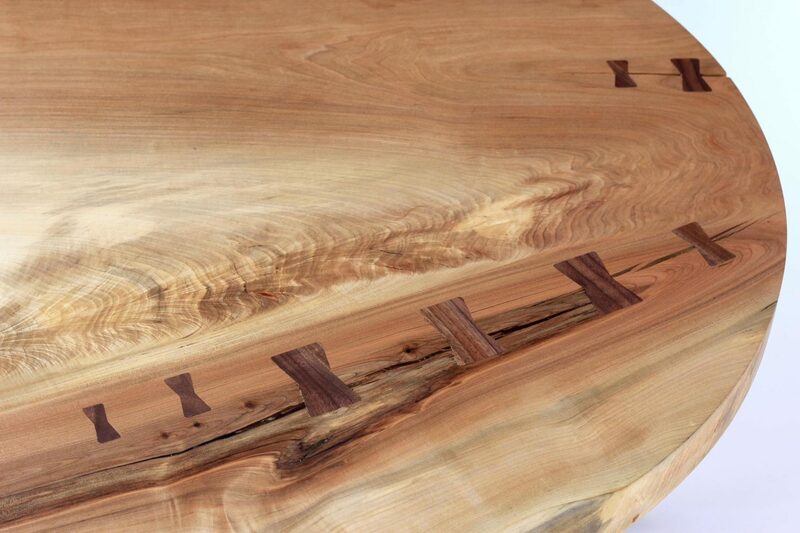 We painstakingly preserved the natural features of this unique piece, adding several traditional-style “Dutchman” joints (also known as “Bowties”) to naturally stressed areas. 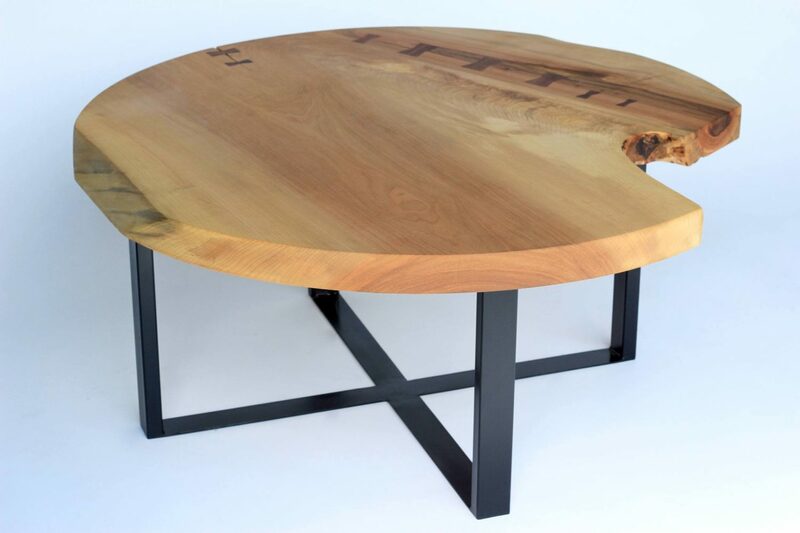 The sturdy metal base for this table was cut, welded, and finished in our shop to fit this unique top. 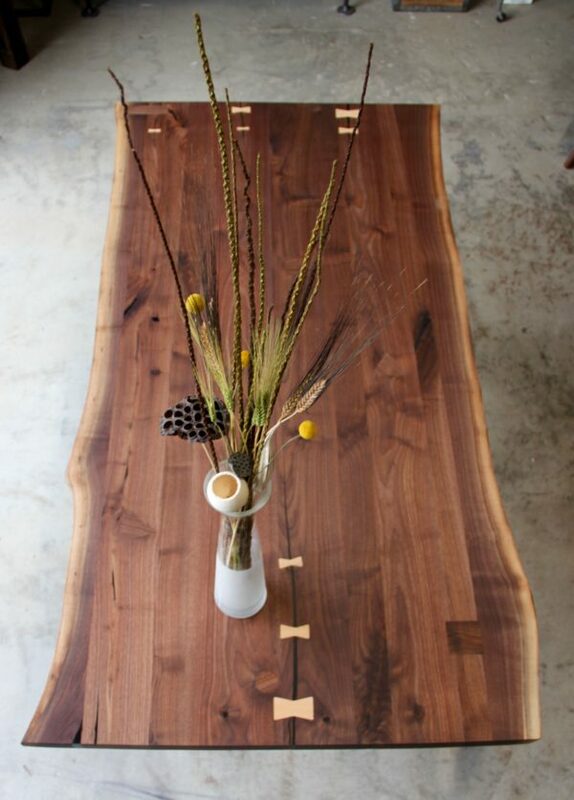 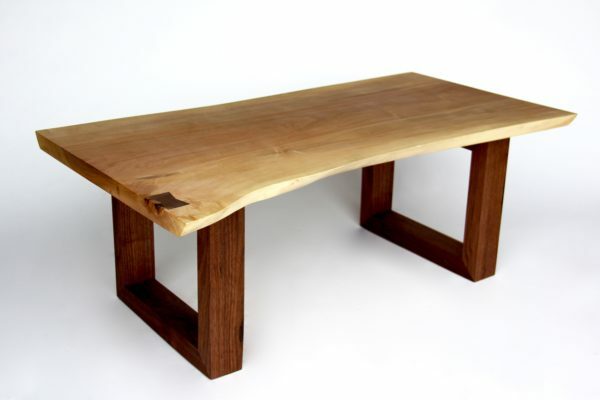 This table is plenty big, with lots of room for flowers, books, board games, you name it- or leave it uncovered and let the one-of-a-kind grain of this beautiful Maple tree make its own statement!